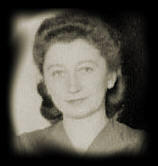 Miep Gies started working for Otto Frank in Amsterdam in 1933.18 In 1942, Margot Frank received papers to report for a German work camp and the next day the Frank family went into hiding.19 Otto Frank asked Miep if she would help hide them and she agreed. In the back of Otto Frank's business was a small annex. Otto, his wife Edith, and daughters Margot and Anne, retreated to the annex. They were joined by the van Pels family and Fritz Pfeffer. For two years Miep Gies was the lifeline for eight people living in the small annex. She would bring them food, supplies and news from the outside. She, along with her husband Jan and three others who worked for Otto Frank helped hide the families. On August 4, 1944, the annex was compromised and everyone in hiding was arrested.19 Miep returned to the annex and collected Anne's dairies. After the war, Otto Frank was the only survivor, his wife and children had died in concentration camps. Miep gave Otto Anne's diaries that would later be published worldwide. Miep Gies died on January 11, 2010 at the age of 100.